The airport tower has been synonymous with air traffic control for as long as the modern concept has existed. Croydon Airport, with its gleaming white tower bristling with radio antenna and full of controllers directing canvas skinned aircraft set the template over 90 years ago. The technology in the tower, on the ground and in the air may have evolved enormously, but the concept of a physical tower to provide air traffic controllers with the means to visually direct aircraft has remained the unchanged and unchallenged until very recently. Now, the advent of super-fast fibre networks, high definition cameras and remote sensing technology is allowing for a revolution in airport air traffic management. Instead of a tower full of controllers and equipment, there is a camera mast that transmits images and data to a separate control centre that could be hundreds or even thousands of miles away. There, the view of the airfield is stitched back together to create a live panoramic image that can be augmented with other operational data, from radar labels on individual aircraft, to the location of closed taxiways. This single 'head up display' is designed to improve a controller's situational awareness, while the mast itself provides everything a full fat tower does despite also being several million pounds cheaper. The pioneers in this new world have been in Scandinavia, with the first remote digital control tower installed at Örnsköldsvik airport in April 2015, followed then by Sundsvall in 2016. These airfields are vital to their local communities, but are otherwise geographically remote and see just a handful of movements a day. By providing air traffic services from a more central location, where a controller can 'plug and play' as required, means these airports remain viable for their operators and local communities. Everyone wins. Trials have since begun all over the world, including in Australia, Hungary, France, Ireland and the United States, and there is a palpable excitement around the industry for what is being set up to be the biggest transformation in air traffic management since the introduction of radar. However, despite that excitement a narrative has also taken root that digital solutions are only appropriate for smaller, geographically remote airfields with low traffic volumes. But Steve Anderson, Head of Airport Transformation at NATS, says the UK ANSP has more ambitious plans for how digital towers can help its airport customers. "Yes there are clear benefits for smaller airfields, absolutely. Economies of scale, the ability to control multiple airports from one location, that's all true, but I think it's a total misconception that digital towers are only suitable for airports of low complexity and low ATM volume. Frankly, that's just lazy thinking." And it's that lazy thinking that NATS is looking to challenge. The argument they make is that 'remote' air traffic services have been around for decades in the form of en-route services, so why should it be different for an airport? Steve adds, "We shift huge amounts of radar and communications data around a secure network every single day to provide a service in some of the world's busiest airspace, so I'm absolutely confident we can do the same for any airport." It's a mind-set shift, but one that means the coming digital revolution is one for everyone, even the busiest airports. And you can see that following Singapore's decision to work with NATS on a new smart digital tower prototype for Changi Airport. With it's 58 million annual passenger movements, it's about as far away from snow covered Scandinavian airfields as it's possible to get. 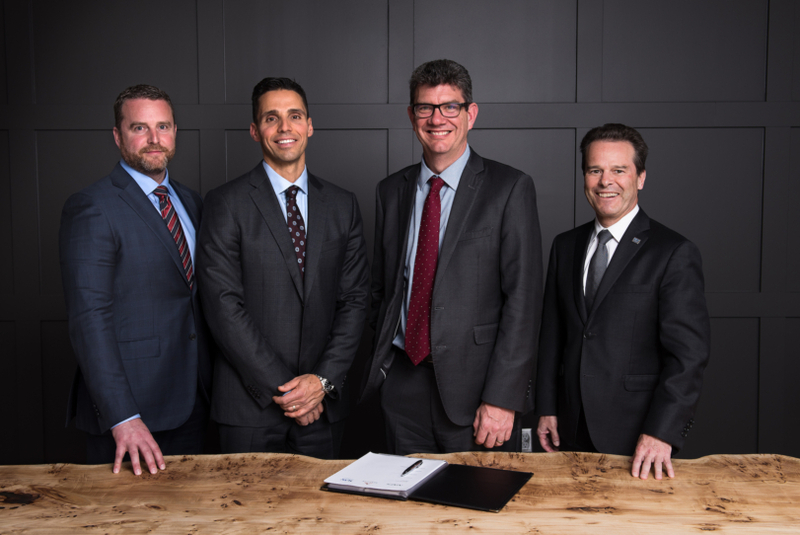 NATS, has announced a partnership with NAV CANADA with both parties taking an equal shareholding in the Canadian digital tower firm, Searidge Technologies. Both NATS and Searidge Technologies have digital tower facilities that can demonstrate their ability to provide a remote air traffic control service for any airport that wants one. But what of those who point to questions around safety, cyber security and resilience? Steve again: "Safety is something we are never prepared to compromise on, so we're using technology that has completed 10 years of R&D and live trials." And in terms of resilience and cyber security, nothing is being left to chance. Handling and protecting large quantities of operational data is something that NATS has been well practiced in for many years and has invested significantly in cyber security resources and expertise. It's that same mind-set will be brought to bear when here, while the inclusion of three entirely independent fibre network connections will offer best in class levels of operational resilience. Steve adds: "There are multiple fall backs within both the systems and our procedures. If a camera fails then another helps fill the gap." So it seems the digital revolution has genuinely arrived, and this time it really will be televised. If you're interested in how your airport could benefit from going digital and would like to arrange a visit to one of our digital tower facilities, please leave your contact details and our team will be in touch. Interested in how your Airport could go digital? Contact us to arrange a visit to one of our digital tower facilities.